Allergies – It’s time to rethink the cause! 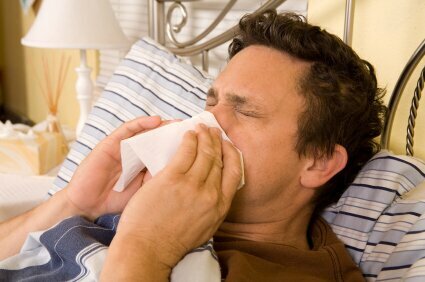 Runny noses and persistent post-nasal drips are the result of the body’s response to a simple component of a food or pollen molecule – a phenolic. Substance intolerance shows up in many forms besides the common allergic symptoms of swelling, itching, and run-amuck mucous. For instance, it is not uncommon for practitioners to have patients report that “chocolates give them headaches”, “tomatoes cause joint pain”, their “tongue swells up”, or they “develop blisters when they eat nuts”, and they get “severe diarrhea from oranges”. Other allergic reactions to phenolics can include nausea, fatigue, depression, irritability, insomnia, trouble concentrating, muscle ache, abdominal pain, bloating, gas, diarrhea, constipation, and a host of other unexplained and difficult-to-treat symptoms and disease complexes. To this amazingly diverse list of afflictions, you can add autism, mental retardation, hyperactivity, dyslexia, insomnia, bedwetting, respiratory allergies, headaches, abdominal pains; and asthma in children, as well as in adults; migraine, colitis, hypertension, menstrual disorders, dermatological problems including eczema, and arrhythmias. Don’t confuse what we’re talking about with “cure-all.” What is given here is a very brief introduction to a discipline of diagnosis and treatment that most allergy sufferers and even most allergists are unaware of. Which are the Real Allergens? It is time to rethink allergies. Maybe the more universal cause of allergies is a set of chemical compounds, more simple than proteins, called phenolics or aromatics. Unfortunately, many researchers holding to the concept of proteins as allergens have largely ignored the work done on phenolics. Some studies over the past decade suggest that more attention should be focused on aromatic organic chemical compounds found in most foods, pollens, and other organic materials. Since many of these aromatic chemicals are related to phenol, they are called phenolics as a class of physiological substances. Most perfumes, many cooking odors, and many other chemical smells are phenolic compounds, as is everything from the purple color of a grape (malvin) to the spicy taste and smell of cinnamon (cinnamic aldehyde). There are thousands of different phenolic compounds that a person could be allergic or hypersensitive to and not even know it, which is why it is so difficult to address using conventional methods. Unfortunately, the vast majority of treatment techniques for asthma and allergies do not even consider phenolic sensitivity as a possible factor. Could this be why many forms of allergy treatment do not work? A substantial step forward in understanding allergies is taken by considering the part phenolic compounds have in the plant and animal kingdoms and in human body chemistry. This is especially true of food allergies. Many clinicians dismiss phenolics outright while others are searching for new ways to look at the chemical arena of allergies. Attempting to address allergies without addressing phenolic sensitivity is ridiculous. How a person develops this condition is complicated. Just know that to test and treat allergy symptoms appropriately this information can not be ignored, but often times it is! Science is pointing to the fact that phenolics are the cause of a substantial number – if not most allergic responses. Fortunately, there is new technology that can accurately test and treat for phenolic sensitivity. And, given the complexity of the topic I consider it nothing short of a revolutionary breakthrough!